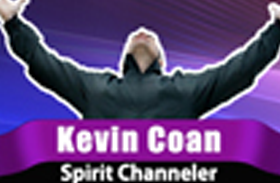 Wicked Bites Radio and TV welcomes you to Kevin Coan Spirit Channeler. What to bring: one photograph of the loved one you are trying to reach. Keep in mind – not all pictures will have spirit(s) attached to them the night of the event. NO GUARANTEE OF A READING – All readings will be done in public.